The Goodnight Caterpillar is a relaxation story introducing young children to passive progressive muscular relaxation and breathing. Progressive muscle relaxation focuses awareness on various muscle groups to create a complete resting of the mind and body. The caterpillar teaches the child how to relax, unwind, and see things more clearly. This story is shorter making it ideal for younger children or those with a shorter attention span. Children love to take a deep breath and send a relaxation signal to various parts of their body to unwind and relax with this easy exercise known as progressive muscular relaxation. The technique focuses awareness on various muscle groups to create a complete resting of the mind and body. It can lower stress and anxiety levels and can also be used to decrease pain as an alternative or complimentary treatment. This encouraging story quiets the mind and relaxes the body so your child can enjoy relaxation and fall asleep peacefully. This story is shorter making it ideal for younger children or those with a shorter attention span. The Goodnight Caterpillar is also featured on the Indigo Dreams Audio/CD. It is also available in several eBook formats. 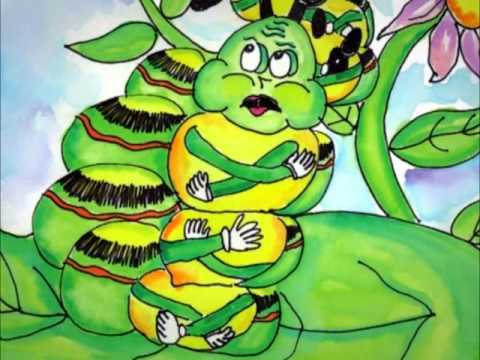 Children relate to this stressed out caterpillar that has been rushing about and feels overwhelmed by his busy schedule. You and your child will be amazed at how relaxing this technique is. I still use it for falling asleep and to calm myself before stressful moments. Every child has a different emotional maturity, attention span, and need. While the stories are best suited for ages 4-9, do not let this be your primary reason for selecting. You know your child best and remember this is not about the reading level. The focus is on the actual techniques.